(Kitco News) – China’s improving wealth is expected to renew growth in jewelry demand, creating long-term support for global gold demand and performance, according to the World Gold Council (WGC). In a report published Wednesday, the WGC said that China’s jewelry renaissance has come as a result of a “painful period of reinvention” that saw the industry evolve to meet a rapidly changing middle class. “China’s middle-class is evolving and, over recent years, the profile of China’s jewelry consumers has changed,” the report said. Gold still faces challenges in the the world’s largest consumer market, however. A 2016 consumer research finding by the WGC highlighted two important trends: consumer preferences differ by region and tastes differ across age groups. In large metropolitan areas, also known as Tier-1 cities, gold jewelry faces a growing millennial demographic that favors technology and fashion with their disposable income. “When asked what they would buy if they were given RMB 5,000, only 9% of those between 18-25 years opted for gold jewelry, compared with 31% who chose technology, such as smartphones or wearable technology,” the report noted. Consumers in Tier-1 cities contribute around 40% of total national spending, meaning that trends that start amongst core demographics in these regions will eventually filter through the rest of the consumer landscape. “Successfully engaging with these consumers is the key to the future health of China’s gold jewelry market,” analysts at the WGC added. The jewelry business in the world’s most populous country has responded in kind to the changing consumer landscape by adopting two main strategies: diversifying the scope of the product range and integrating online and offline retail experiences. Fresh product offerings, including 22ct and 18ct gold in addition to traditional 24ct gold jewelry has sprung up to meet the demands of a younger audience. Lower budgets amongst millennials have also prompted the jewelry industry to shift to thrift with 3D hard gold technology. “A special chemical process makes 3D gold four times harder than 24ct gold. Yet it uses only one-third of the gold that traditional jewelry uses to produce a same-sized piece, making it much more affordable,” the report said. Despite the growing prominence of online retail, research has shown that of those who begin jewelry purchases online, only 4% complete those purchases, owing to a preference for touching the product before buying, as well as concerns around online security. Long-term, drivers of gold jewelry demand are explained not only by the current price of gold, but importantly, consumers’ income. “China’s shift towards a consumer-driven economy should bode well for jewelry demand over the coming years,” the WGC said. 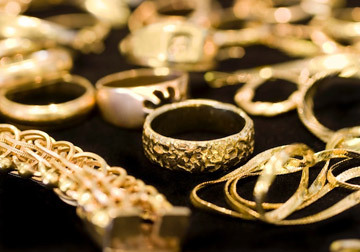 Gold jewelry demand in the country has more than tripled in the past 15 years, placing China amongst the largest gold jewelry markets in the world, accounting for 30% of global demand.